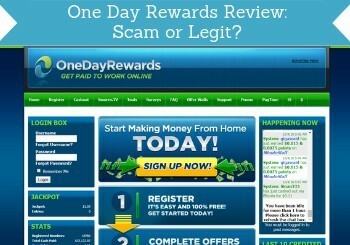 One Day Rewards claims you can start making money from home today. But is One Day Rewards a scam, or can you really earn money from the start here? I have joined this get-paid-to (GPT) and survey site myself to test it, and in this One Day Rewards review I will show you exactly what you can expect from joining. Let me reveal right away that it has both good and bad sides, so let’s look into what it has to offer, so you can see, if it is for you or not. What is One Day Rewards and what does the site offer? However, looks is not everything when it comes to survey and GPT sites. Unfortunately the design of One Day Rewards makes it quite confusing to use and it is difficult to find out exactly what it offers. So in the beginning it will probably take you a bit of time to figure out how to use it. I will therefore below go over what you can find there, so you can easily see what ways it offers you to earn money, so you can see, if it will be worth your time or not. One Day Rewards offers paid surveys like most other GPT sites. I personally think this is a great way to make some extra cash while having your opinion heard. The surveys are luckily easy to find on One Day Rewards, as you can find them through the main menu. All the surveys you can take there are through third party providers, which means you will click the survey and will then be taken to an external site to take the survey. But you will then get the reward into you One Day Rewards account. That it uses third party providers means that it has a good amount of surveys available, as it offers surveys from several providers, even though it can take some patience to find the ones you qualify for. However, you will also be able to take many of the surveys on other survey sites that have cooperation with the some survey providers. The rewards on One Day Rewards are in many cases lower than they are on the top paying survey sites that offer the exact some surveys in some cases. So you might get more value for your time, if you take the surveys on other sites instead. But one thing that is great about One Day Rewards is that it only offers legit surveys that will actually pay you. So it is not a scam, and you can make some extra money by taking the surveys here. 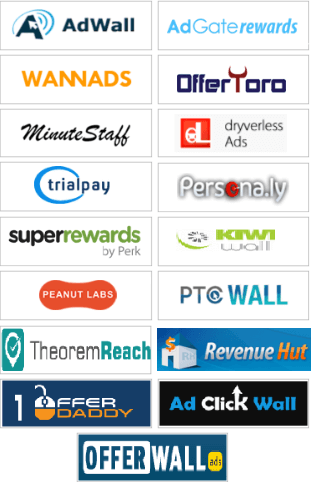 One Day rewards also has a section, where you can get paid to click ads – also called PTC. This section can be a bit more difficult to find, as it is not in the main menu. You have to click “main” in the menu, and you will then see an overview of different options, where you click on “paid to click”. This is where you can find the PTC section. It is a very easy way to earn, as all you have to do is to click an ad and watch it for 10 seconds, BUT it will also give a very small reward. PTC in general gives very small rewards, and that is also why I only rarely click them. On One Day Rewards you will get around $0.001 per ad you click, so you can see it takes quite a lot of clicks to make any real money. And you cannot even find very many ads here. So in my opinion this is not a way you should try to earn money on One Day Rewards, as it will simply not be worth your time. One Day Rewards has quite a big section with paid offers on an offer wall. One Day Rewards has a big offer wall section. You can find this section through the main menu. As you can see on the image above, you can find quite a lot of offer walls here. Each of the offer walls on the image above will give you different offers. It can for example be to take free trials, sign up for newsletters, download an app, buy a certain service, etc. Sometimes you can find some really good offers with great rewards on the offer walls. Just make sure to always read the conditions carefully, so you know what you are saying yes to. Again, the thing is however that you can find many of these offers on other similar sites like for example ClixSense. On the other sites you will often get higher rewards for the same offers. You can find a couple of free contests, you will automatically participate in, if you are active on One Day Rewards. You can find these the same place as where you find the PTC section (see image from previous section). There are two different kinds of contests. One is an offer contest, where there is a top 8 list of the people that have earned the most on paid offers in a 2-week period. The top 8 gets an extra reward. The first prize is $15. It is of course a nice extra reward, if you win, but you have to be quite active to get a prize. The second contest you can find there is a contest of people who have invited the most other people to join the platform. Here you can win up to $10, if you know enough people you can invite. 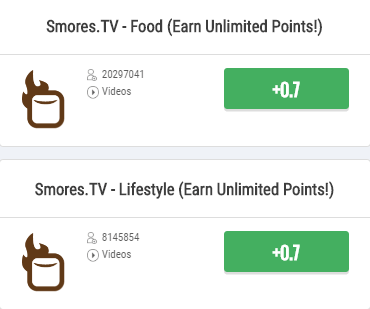 Getting paid to watch small videos might sound like a great way to make money, and One Day Rewards offers this way of earning as well. It has quite a lot of videos you can watch within different topics. You can get paid to watch videos – just not a lot. On the image above you can see it says “earn unlimited points”. This of course sounds good, but it is really not as exciting as it sounds. You can in theory watch as many videos, as you want to. But you have to watch 3 videos + ads to get credited. You will then get 0.7 points for every 3 videos + ads you see, and can do this as much as you want. This reward is however very small, as the points are not worth much, as I will explain in the getting paid section. So you would have to spend a lot of time watching the ads to make any real money. So in my opinion this option is only really worth using, if you want to watch the videos anyways. The jackpot contest is a daily contest, where you have to use your points as a chance to get the jackpot. So it is not free to participate in. It only cost a few points to join, but the rewards are also very small, and you can only win around $1. So not really a great option, but now you know it is there. Above you can see all the ways you can earn on One Day Rewards, but there is a way, where you can get more benefits. This is if you upgrade your membership. You start as a free member but can then upgrade to bronze, silver, gold, platinum, or diamond. Unfortunately it costs money to upgrade to the higher memberships and get more benefits. It costs $5 to upgrade to bronze, $10 to silver, $15 to gold, $20 to platinum, and $25 to diamond. Each level will give you more benefits. Below you can see what you will get with the highest membership. The benefits you will get, if you upgrade to the Diamond membership. So what you will get is in general more discounts, if you buy anything through One Day Rewards, higher rewards on offers, and higher commissions for referring friends to the platform. Be aware that the upgrades only last for 30 days. This makes it quite expensive in my opinion, and you have to be very active to make the investment back. I in general do not like when survey sites and GPT sites charge a fee for upgrades. I do not mind different membership levels, and a site like PrizeRebel for example uses it in a great way. Here you can move to the next membership level and get more benefits simply by being active on the platform, but you do not have to buy upgrades. So in my opinion it is not worth upgrading your membership on One Day Rewards unless you are very active and refer a lot of people. Even if that is the case, there will be sites where you get more value for your time. Even though you can probably hear from the review so far that I am not too excited about One Day Rewards, I think its reward options are great. You get paid in cash or point when you take surveys, offers, etc on the site. These can then be exchanged into a number of options depending on your preferences. 1 point is equivalent of $0.01. You can for example get Amazon gift cards, cash through PayPal, and Bitcoin. What I really like is that you can get paid already when you have earned $1, and you will usually get your reward within hours after you have requested it. In my opinion this low payout threshold and fast payout is the biggest advantage of One Day Rewards. How much money can you make on One Day Rewards? So One Day Rewards has some great payout methods, and you can get paid quickly. However, this does not mean you will be able to make a lot of money on the site. As I have already explained previously in this review, there are many sites that offer higher rewards for the exact some surveys and offers. It is definitely possible to make some extra cash on One Day Rewards, but mostly if you are willing to upgrade your membership, and if you invite a lot of people to join. It will however in my opinion take too much effort to even just cover the cost of the upgrade. And remember that survey and GPT sites are in general not a way to make a full-time income, and that also goes for One Day Rewards, even if you upgrade your membership and are very active. I prefer when a survey site can be used on mobile devices, as it is a great way to be able to take surveys and offers whenever it fits into your schedule. One Day Rewards is not very user-friendly and is difficult to navigate on a desktop. And it becomes even worse on a mobile phone. 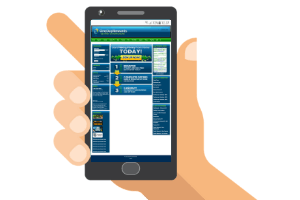 The website is not mobile optimized, which means you will have to scroll in and out constantly to find out where you need to go and to be able to find the surveys and offers. If you like taking surveys and offers on your phone, One Day Rewards is definitely not a good option for this. A great thing about One Day Rewards is that you can join no matter where you live. So all countries are welcome. Just be aware that you are not allowed to use VPN to take surveys or join the site trying to hide your location, and you will be banned, if you try to do this. No matter where you live, there are however sites with more and better paying opportunities in my experience. You can see a list of these by clicking the link at the end of this review. If you decide to join One Day Rewards and should have any problems with your account, payout, etc., you can submit a support ticket on the website and get help. It just says they will get back to you asap, but not how long it will take. I have not needed to contact the support myself (since I have decided the site is not worth my time), so cannot say for sure how long it will take to get an answer. But it is always good to know it is a possibility to get support. One Day Rewards has both good and bad sides, so let’s sum up the pros and cons, so you can get a better overview before deciding to join or not. One Day Rewards is not a scam, as you can actually get paid to take surveys, offers, and more here, and all the surveys and offers I have seen there are legit. This does however not mean it is worth your time. In my experience it pays less for the some surveys and offers than other similar sites, and it is one of the least user-friendly sites I have tested. You can make some extra money here, but in general there are sites that are easier to use and with more/better opportunities. You can for example check out the list of the best survey and GPT sites in your country below. If you have any comments, questions, or have any experiences with One Day Rewards yourself, I would love to hear from you in a comment below. One Day Rewards has several ways you can earn and it has great payout methods. The rewards are however not as high as many other similar sites, and the user-friendliness of the site is very poor. Overall, it is legit, but there are many other sites with better opportunities. Thanks for taking the time to review One Day Rewards very well and for sharing your findings. I wonder after earning the “small pay outs” how reliable is the process to get the actual money in a form that you can actually spend anywhere. Speaking from past experience with another company, I discovered that I needed to jump through additional hurdles in order to get the small amount of money I had earned. As I was not earning as much money as I was expecting to (based on their sales information), I just never bothered. That was a waste of my money, time and effort at my end that could have been better spent. I just put it down to experience at this point. I do not know how fast the processing of payments are at One Day Rewards – after testing it and seeing the opportunities I decided it was a site I did not want to spend any more time on. As for other survey and get-paid-to sites, some of them make it very easy to get your cash. On some of the fastest paying survey sites, I have for example received my money only a few hours after requesting it, and the request itself took a few second to do. So there are luckily many sites that make it very easy to get your rewards. Cheers for the review of this one! Glad I read this before i started haha. I always wonder, because when you search for ways to earn money, these sites always come up. But is any of these sites worth my time? Am I ever going to get a lot of money from this? If you join the top paying survey sites in your country, it can definitely be a way to make some extra money. If you are looking to make a full-time income, this will not happen with survey and get-paid-to sites. But they are free, and you can start earning from day one, so if you join the legit ones, it can be great depending on your expectations and goal. Hello and thank you for the detailed review of One Day Rewards! I really don’t get if people are really making income with surveys. I mean, how many hours per day you need to work efficiently in order to make a full income that is enough to cover the bills? Is it possible with this kind of work? Also, what I don’t like is that you have to pay in order to do a job that requires doing tasks. It makes me feel like the only one benefiting from this is the owner of this platform. Don’t you think so? What’s your opinion on this. You can definitely make real money on paid survey sites. But you will not be able to make a living from it. If this is your goal, it is not for you. 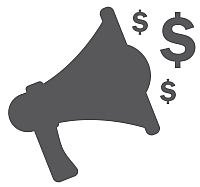 It is however a great and easy way to make some extra money on the side and have your opinion heard at the same time. It depends on your reasons to start taking surveys. People that try to make a living from ti will be disappointed, whereas people that are just interested in a way to make some extra money on the side while sharing their opinion will find it is a great way. One Day Rewards is a bit unusual in the sense that it charges people to upgrade their membership. Usually survey and get-paid-to sites will never charge you anything. Of course the sites in general also have to make money to be able to operate, but they usually do this without charging people a fee for memberships, and then I think it is great since it benefits both the site owners and the people participating. I’m not really big on these types of sites but usually if they have a referral program or affiliate program, you can earn a lot more than doing the actual surveys. 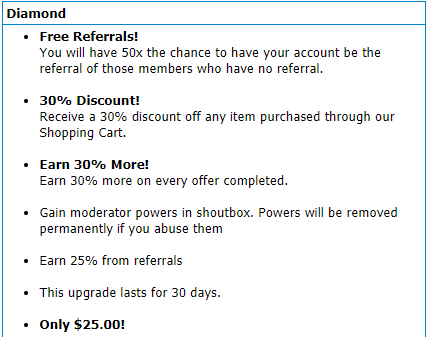 I see One Day Rewards has a referral program which is a plus. Can you touch a little on how that works? Yes, One Day Rewards has a referral program. If you invite people to join, you will earn 10% commission on level 1 referrals, and 5% on level 2. Personally I do however only refer people to panels that I think are truly worth the time, so to me it does not matter if One Day Rewards has a referral program, as I am not planning to recommend it or invite people to join it. It’s great to see review on sites like these, that offer money for ads or surveys, because a lot small sites that offer this are scams and reviews like the one made by you can help people find sites that actually work. It’s good that someone goes and explains actually pros and cons of such sites, as more often then not sites promise things that are simply not true to gain more traffic and reviews are the thing that clear up what is just fake advertisement and what is not. Thanks for the feedback and for sharing your thoughts Richards. Glad to hear you found the info useful. thanks for reviewing one day rewards. I personally will not be using it since it pays out so little money. My time is worth much more. Nice to know though it is not a scam as there are many out there. You have done great work in your review. Please keep it up by exploring more potential scams. You will be saving many people their time and money! Thanks for the feedback Jody – I appreciate it. One Day Rewards will also not be a site I will be spending more time on myself. There are so many other great sites that give better opportunities. Great day to you too. Great honest review – thanks.I’ve always wondered about these review sites and as much as I need the money I do value my time and have heard that on a 4 to hour basis many of these surveys just aren’t worth it. I appreciate the list of survey providers in my country (New Zealand) and will take a look. Be great to earn a few dollars in my spare time as long as it is worth it. One day rewards, the one you’ve reviewed here, doesn’t sound like my thing. Thanks for your comment Lawrence. Hope you will like my recommended sites in NZ. I think it is a good choice not to invest time on One Day rewards, if you just want to join a few survey sites to earn a bit extra. The top recommended on the list are in my experience worth it, and can be a fun way to earn a bit extra. Just remember that it is not a way to make a living, but something that should be done to earn a bit extra on the side. And in my opinion it is also a great opportunity to have your opinion heard on important topics.